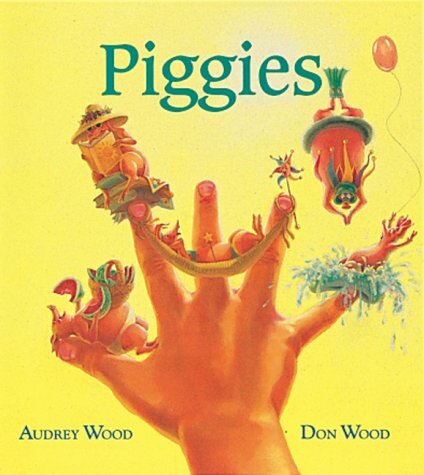 Do have one or more picture books that you really, really loved as a small child? I’m sure that I do. 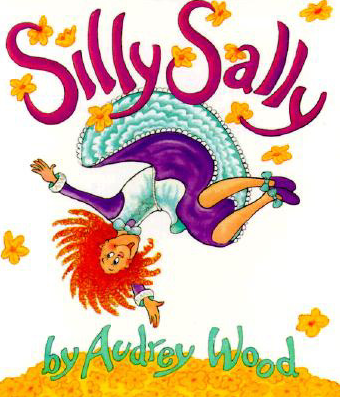 So here are my favorite 10 picture books from when I was a toddler. You should read them as well!! What a terrific list of books with a great variety of authors and illustrators.I have read every one of them to my children. One of my favorites is Tops & Bottoms by Janet Stevens. It is the story of an industrious rabbit and his family who work the land owned by a lazy bear. Continue building your list, it will be a great help to many teachers and children. 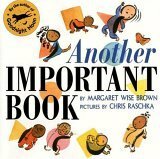 The Important Book by Margaret Wise Brown is one I read and use as a model text with my 4th grade students every year. I didn’t know she had written Another Important Book. I’ll be ordering that one today. Thank you for sharing your list. There are a few on it that I need to check out. Nice job with your list. We share many of the same favorites. 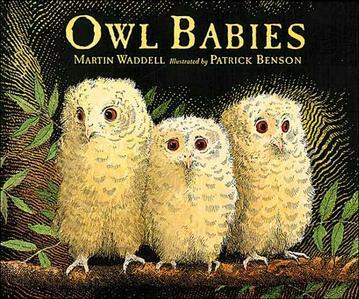 Owl babies is a recent addition to my list. I love the expression that the illustrator draws on their faces. 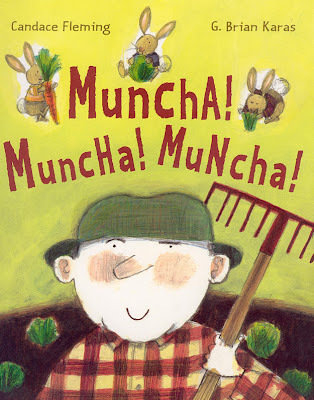 I read Muncha Muncha Muncha with my sons when they were younger, and we still sometimes go around the house muttering “munchamunchamuncha.” That’s a good one. And of course, the Big Green Monster one is a classic. You have a great list of favorites here. What a great post! 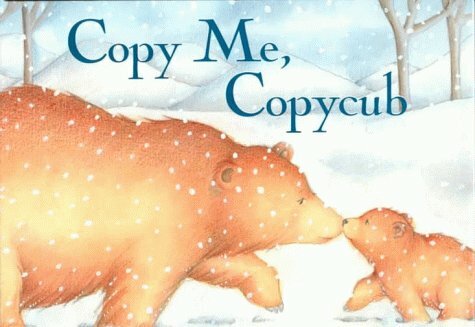 I love picture books and I love sharing them with my young boys at home. There are some on the list that I don’t know and some I have not yet read with my boys. I’ll have to hit the library with your list in hand! Thanks for sharing these. I loved these books too and more than that, I loved reading them to you. Your list surprised me – I thought you might include some Bill Peet books. I still remember some of those word for word. Thank You for including me!! It was really fun looking through the trunk of picture books. It brang back so many good memories! I had so many more than ten and I wanted to put more so badly! Matt, I’m so glad you joined us and reminded us literacy begins before school. 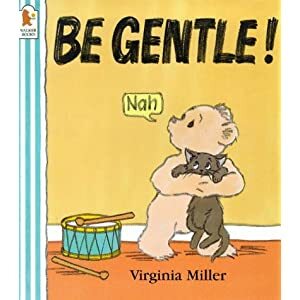 Your collection of favorite books from being a toddler is a nice list of great books. 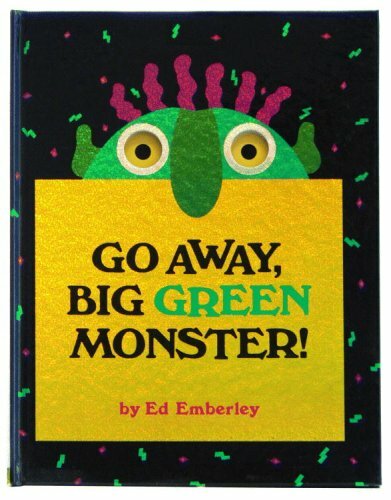 Go Away Big Green Monster was a favorite at our house too. Great memory and great list. Thanks for the recommendations. Wow Matt – this is a great list of books! I don’t know two of them. I’ll get on that right away. I will also make sure I let the rest of the kidlitosphere know about your post. They should check your work out.